Farmers in Uganda are learning new ways of managing their bees, avoiding conflict and making more money thanks to the help of an ‘innovation platform’. “When we decided to build a bee house, fellow community members thought it was impractical and unwise. But since we saw a snippet of its advantages during a tour in Western Uganda, nothing would deter us from pursuing this new venture. Why shouldn’t we benefit from the same?” said William Sabila, a Honey Innovation Platform facilitator, during a field visit to Kapchorwa District, Uganda, with representatives from Landcare Australia and the World Agroforestry Centre (ICRAF). 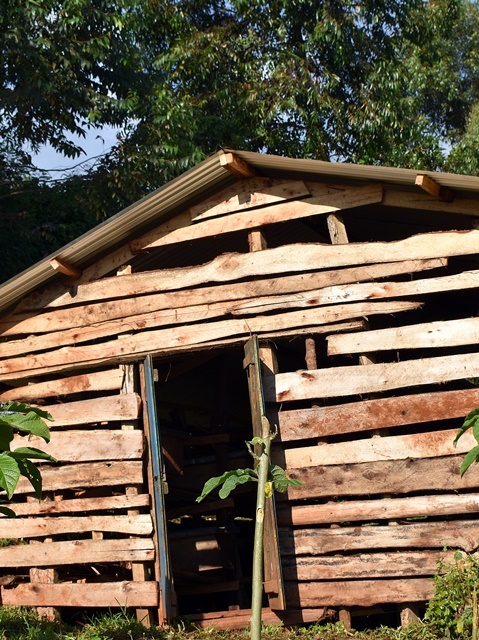 It was always the norm to construct bee hives but members of this platform, having participated in the tour, were eager to learn more about how to build a house for their hives. The Developing Value Chain Innovation Platforms to Improve Food Security project, which is funded by the Australian Centre for International Agricultural Research (ACIAR), and the Kapchorwa District Landcare Chapter carried out training in basic beekeeping, such as siting a hive, characteristics of a good hive, forage, handling pests and diseases, constructing a bee house and the best ways of managing hives for maximum benefits. The tour and subsequent training served as eye openers to the greater incentives when a group invests in a bee house. Bee houses partly came about owing to the advantage of having healthy, strong and rapidly expanding colonies, which translates to high yields. Moreover, having bee hives secured under lock and key in cost-effective structures, assures farmers of quality yields due to reproductive cycles. Geared up to put their new knowledge into practice, members of the Honey Innovation Platform constructed two bee houses simultaneously on their own volition through member contributions. “The training was meant to encourage members to take up enterprises as businesses and think of investing in them by themselves. The investment is in the form of equipment and tools as well as business documents. In this case, the investment was a bee house,” explained Clement Okia, the project manager and ICRAF Uganda representative. The innovation platform members had to be creative in acquiring funds to set up the bee houses by tasking each member with the challenge of raising certain amounts based on their capabilities. 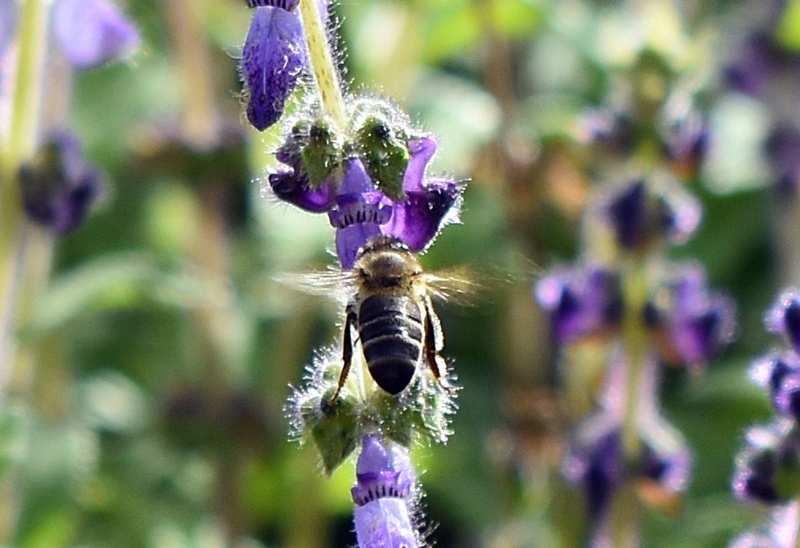 The platform members were also categorical when selecting the house locations to ensure they leveraged on other newly discovered innovations: proximity to the forest and river banks, availability of bee forage and plantings of Calliandra calothyrus, an agroforestry tree, and Lavendula augustifolia, popularly known as lavender, to provide nectar. 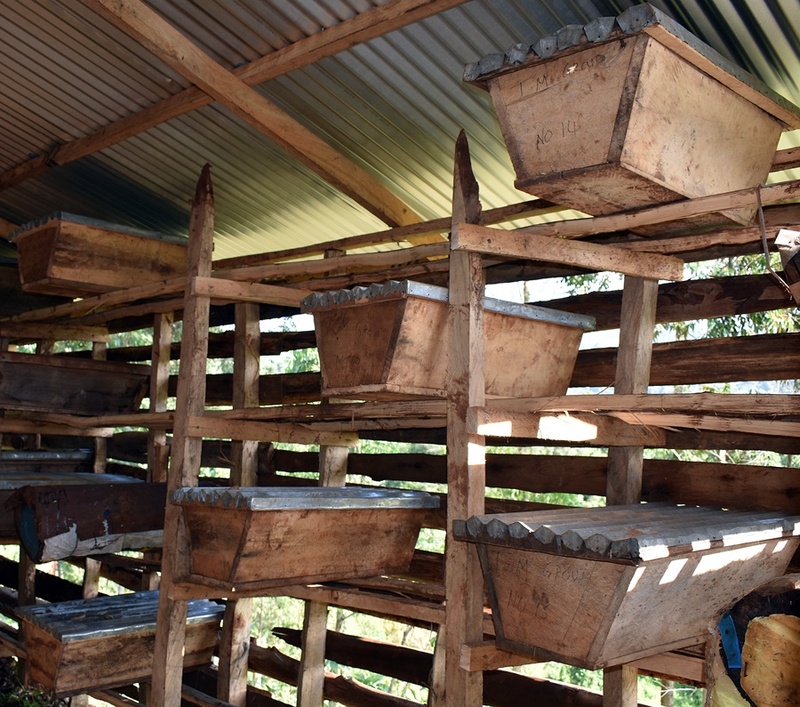 These were the first bee houses in the area and they sparked a lot of interest from both neighbouring and far-off communities in Kapchorwa and the greater Sebei region. Whilst there may be additional costs in maintaining the two structures, the challenges facing the bee farmers have been greatly reduced, they are no longer at loggerheads with the Uganda Wildlife Authority regarding use of the forests, and it will be easier transferring bees to another hive, a step or two away from the other, to commence the harvesting process. Developing Value Chain Innovation Platform for Food Security is a research-in-development project funded by the Australian Centre for International Agricultural Research. The four-year project aims to identify principles and drivers that support scalable establishment of effective and equitable innovation platforms that enhance food security through greater engagement of smallholder farmers with market access in Uganda and Zambia. ICRAF is the lead implementer. Partners include the Copper Belt University in Zambia, Makerere University in Uganda, Adelaide University in Australia, National Forestry Resources Research Institute in Uganda, Zambia Agricultural Research Institute, Kapchorwa District Landcare Chapter in Uganda and Landcare International.